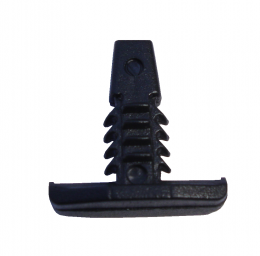 Door seal clip. 1/2" tall, 1/2" wide at "T," fits 1/8" hole. Sold individually. MADE IN THE USA.